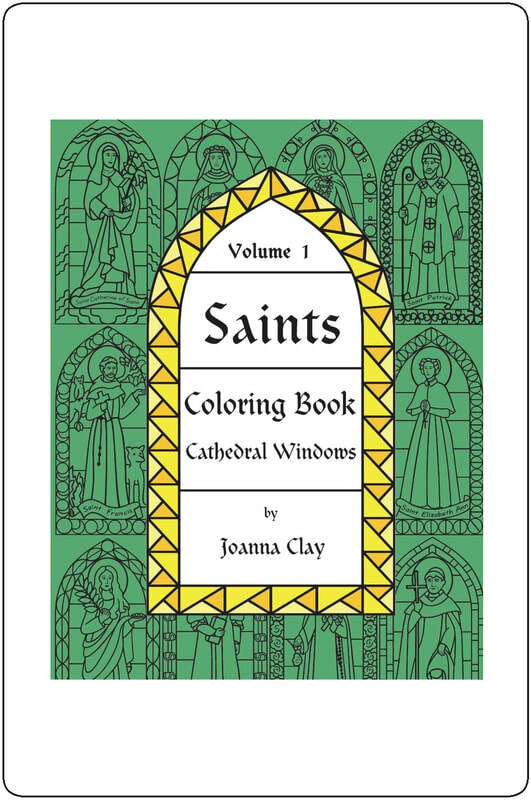 ​Grab your crayons and markers: the Cathedral Windows coloring books are a joy for kids, teens, and adults. 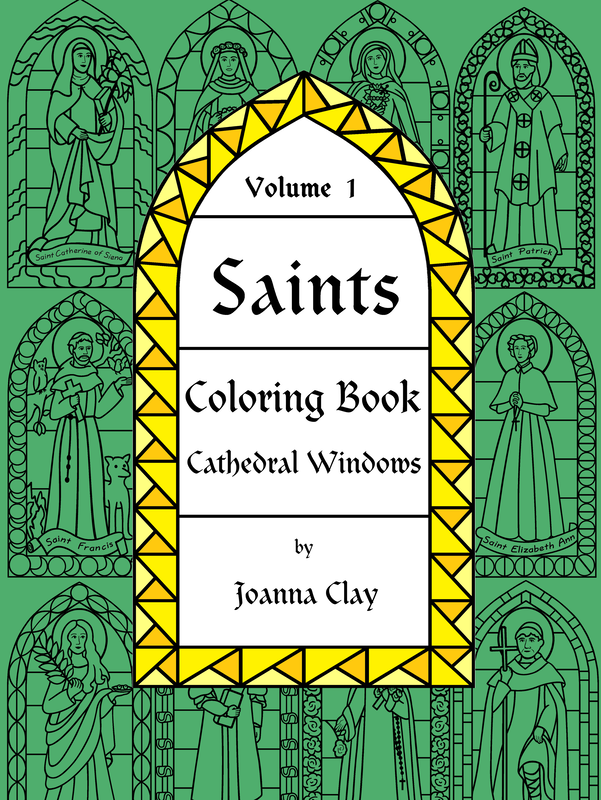 Author/Illustrator Joanna Clay ​has created “stained glass windows” ready for coloring and perfect for hanging. They are sure to engage the colorist’s mind and heart. 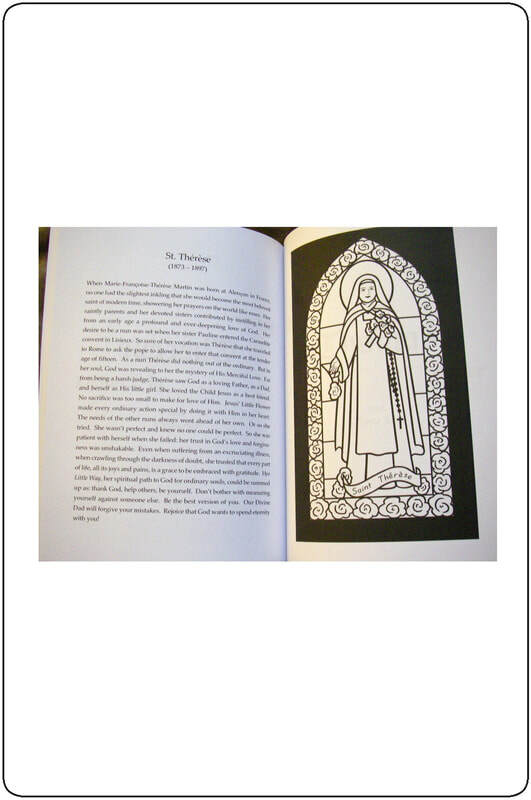 The illustrations are printed on one-sided pages, making them a pleasure to display. Turn a sunny window into a cathedral-like wall of color. 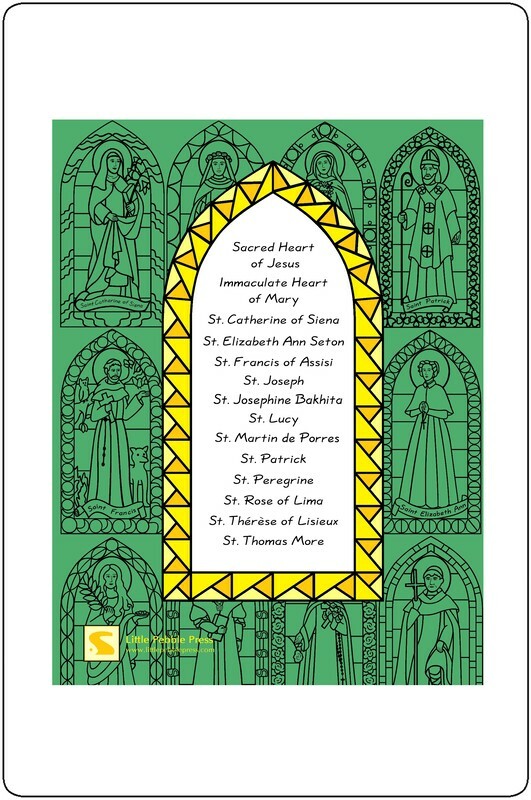 Alongside the fourteen illustrations there’s a brief biography of each saint that gives modern meaning to these heroic Christian men and women from history. 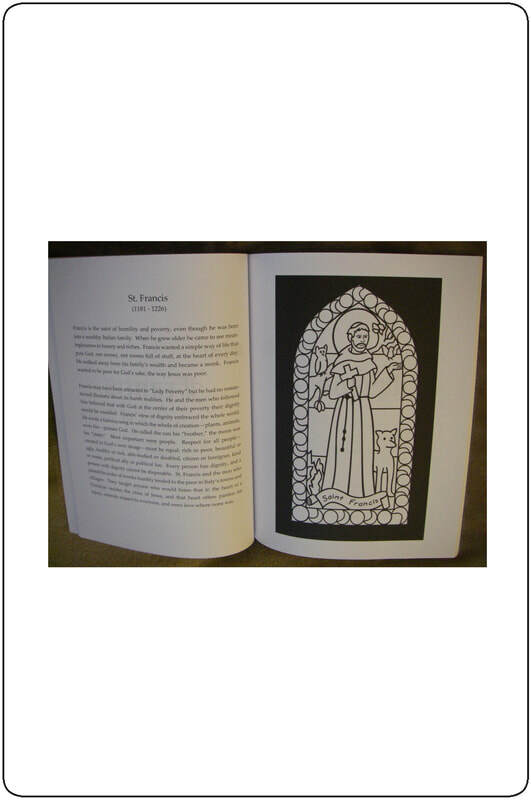 Volume 1 contains: Sacred Heart, Immaculate Heart of Mary, St. Catherine of Siena, St. Elizabeth Ann Seton, St. Francis of Assisi, St. Joseph, St. Josephine Bakhita, St. Lucy, St. Martin de Porres, St. Patrick, St. Peregrine, St. Rose of Lima, St. Therese of Lisieux, and St. Thomas More.